Most homeowners get their inspiration for their DIY projects from popular television shows. After all, the cast makes everything look easy with little to no problems along the way, but is that the reality? The nature of DIY projects is that they can save you money when done correctly, and even add value to your home, but you need to think a bit deeper before jumping ahead. The dark side of DIY is rarely seen on popular TV shows or even online, but the worst can and often does happen. Not only does a poorly carried out project look unsightly, but it costs time, money, and energy on your part. Before taking on a project of any magnitude, consider your experience and whether you can really give it a good finish. Our company has seen some illegal and poorly done electrical work in houses we have had to fix. The reality is, no one really thinks twice about just how dangerous electrical and foundation work can be. Major remodelling should never be done by the novice homeowner with no experience, and should only be left up to professionals. A simple DIY project can become anyone’s nightmare, which is why nothing should be attempted without any thought as to the consequences. 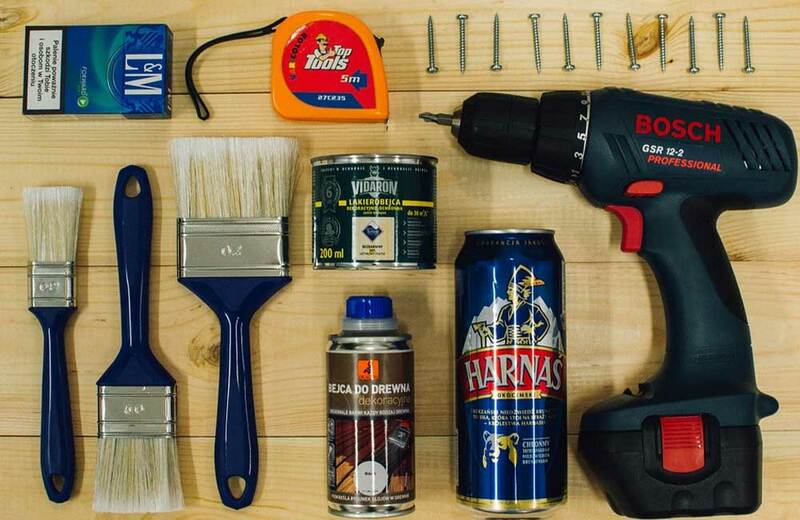 Below, we have compiled a list of the top 8 projects most DIYers can never get right! You may see demolition work on TV and think that knocking out a few walls is as easy as grabbing a sledgehammer wrong! The reality is that you could be knocking down a load-bearing wall that may cause your roof to collapse. Or, you could be damaging electrical wiring, gas or water lines, and perhaps even unleashing the wrath of asbestos. Those with some background in carpentry may have an easy time doing molding and trim work, but others should proceed with caution. Cutting baseboard trim and molding requires a steady hand, good measuring skills, and a trusty mitre saw. You need to measure at least three times before proceeding to cut the trim. Anything you measure or install incorrectly will show through and diminish your enjoyment of your property. Not to mention, you may need to make several trips to the local hardware store! In short, hiring a professional save you time and money. Not only do you need specialized tools for hardwood floor installation, but a knack for cutting and measuring accurately. For example, this project shouldn’t even be considered if you don’t know how to correct an uneven subfloor. How would you deal with wood rot, mold or pests? You can easily fix a drain or unclog a toilet on your own, but anything else such as replacing pipes or reconfiguring plumbing should be done by the professionals. Water damage is just one of the many risks to a DIY approach in this case. You must have experience and the right skills to lay and position tiles correctly, but many homeowners throw caution to the wind. The initial surface prep is what takes an average tiling job into the realm of great. Professionals are able to plumb up walls as well as square the areas that will get tiled. It’s also worth mentioning that no matter how careful you are, tiles break easily! If your roof starts to leak, it may seem like a smart idea to repair it yourself, but it is hard and dangerous work. In fact, you can destroy your home easily by doing a poor repair job. Siding must always be installed securely to prevent water seepage and eventual wood rot. The longer water seeps under your siding; the more extensive the damage becomes to your home. Professionals can ensure that your siding is up to the latest building codes and the newest rainscreen systems are redirecting the moisture. Not only do you need expertise but specialized tools as well if you want your windows to be tight, insulated, and weatherproof. Codes are constantly changing and evolving to fit the latest technology. Therefore, window installation isn’t as easy as it once was. Hire a professional, and you’ll have a peace of mind your windows are safe. Before going ahead with a DIY project, you need to consider the likelihood of a well-finished job and try to keep your ego in check. You may think it all looks easy, but if you do make a mistake, it can be unnecessary and costly. Hiring a professional means the job is done right the first time around, and you’ll think it’s money well spent!